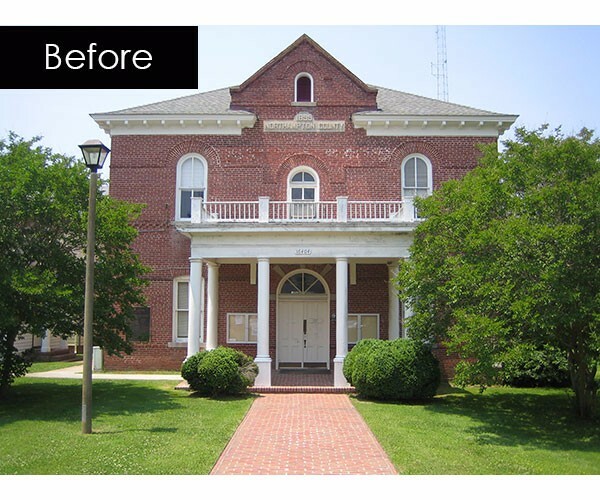 DJG designed the renovations and additions to the 1899 Courthouse Government Complex. 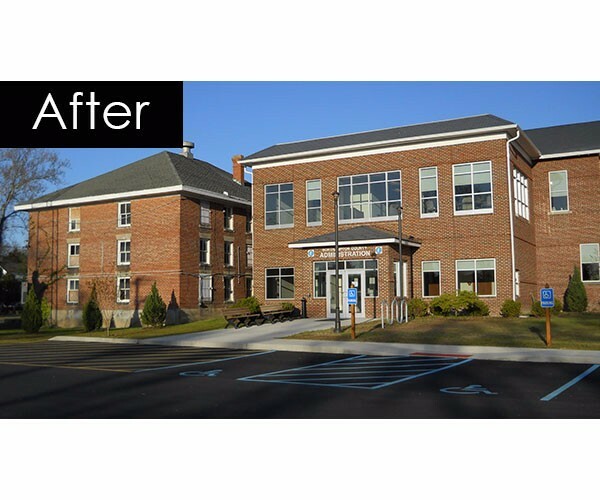 This project entailed combining the four buildings (approximately 15,600 sf) into one cohesive building to integrate the nine different government departments. 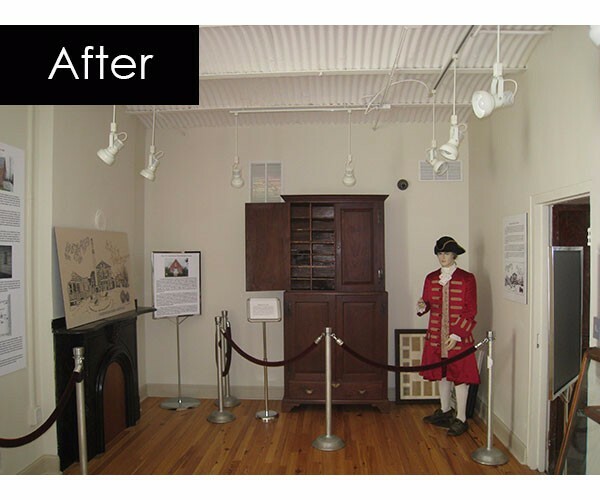 DJG designed two new additions, and redesigned the interior spaces to allow for better circulation between the buildings. 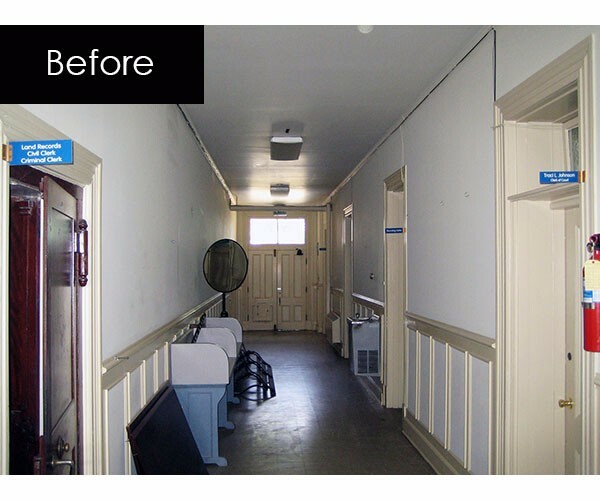 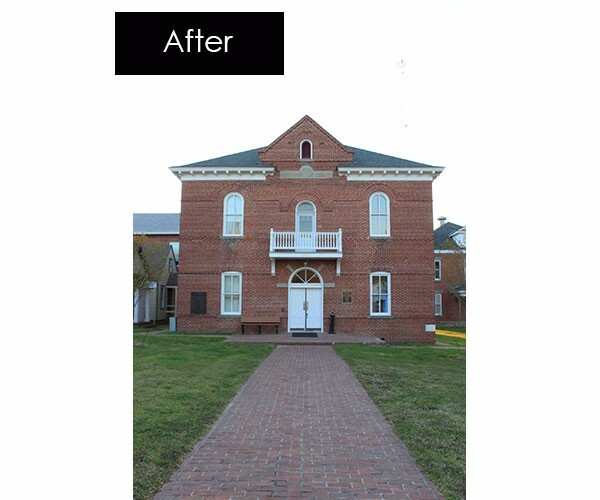 This project involved bringing the historical building up to current building codes as well as restoring its original architecture, in both the interior and exterior. 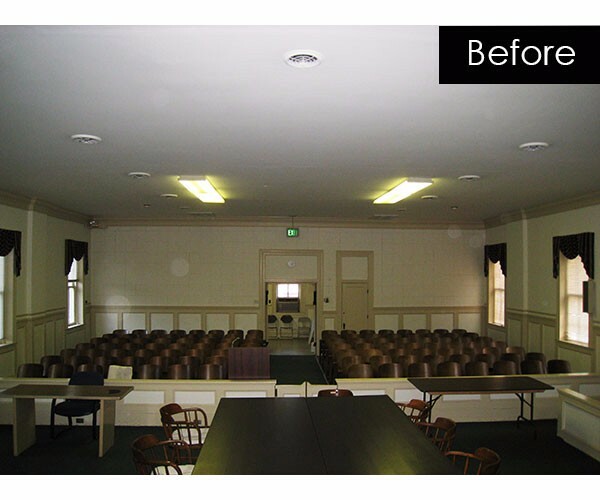 The former clerk’s room, jury room, lobby, stairs and hallway were preserved while the courtroom was adapted for a new Board of Supervisors meeting room. 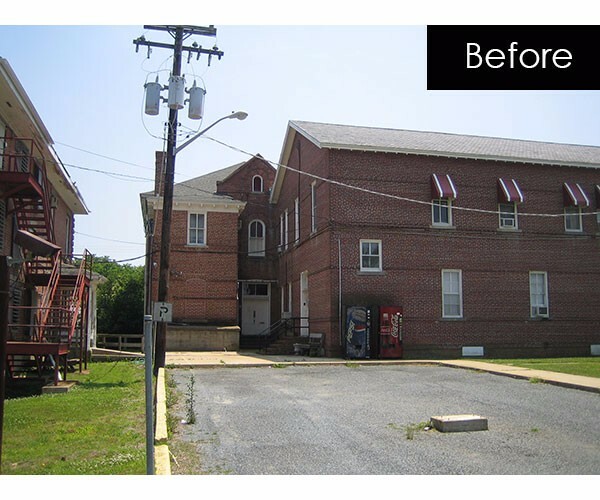 The US Department of Energy provided the County with a $150,000 grant to replace the numerous HVAC systems that were scattered throughout the four buildings with a new geothermal heating and cooling system. 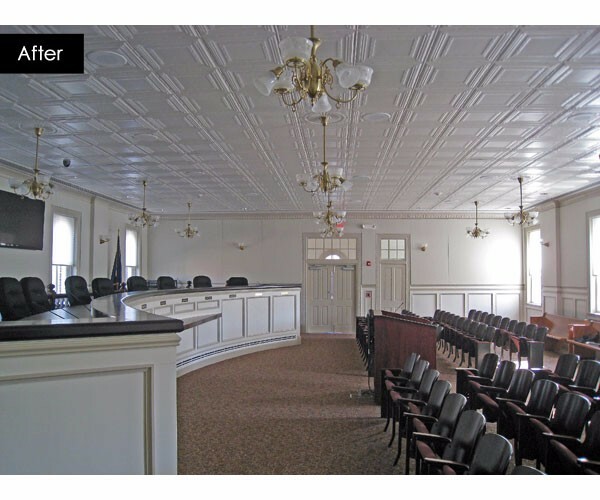 The lighting system in the Courthouse was restored with replicated historic fixtures for the era and the remaining spaces received energy efficient lighting with occupancy sensors. 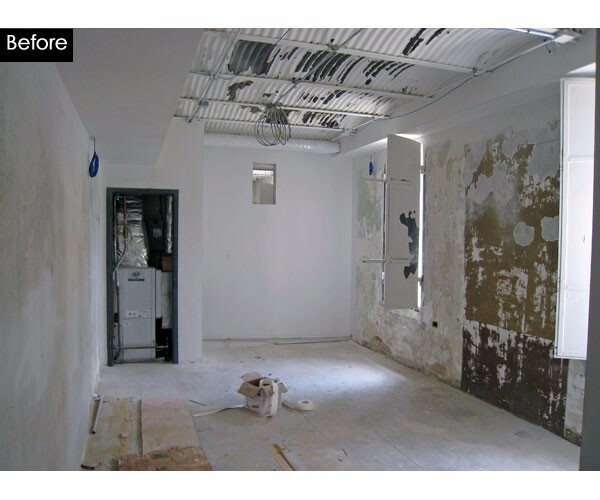 During DJG’s field investigation, the team discovered original heart pine floors buried under numerous layers of vinyl flooring. 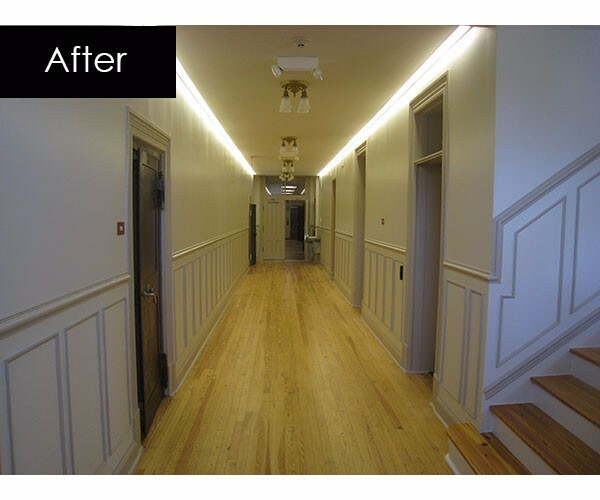 The existing heart pine floors were restored and additional reclaimed heart pine flooring was installed throughout the hallway.